Lovely Victorian pattern shutter latch from Russell & Erwin's 1870 catalog. This latch can be used with our shutter knob ZE-9032 for a nice combination. Cast in silicon bronze from an antique original, using the lost wax process. 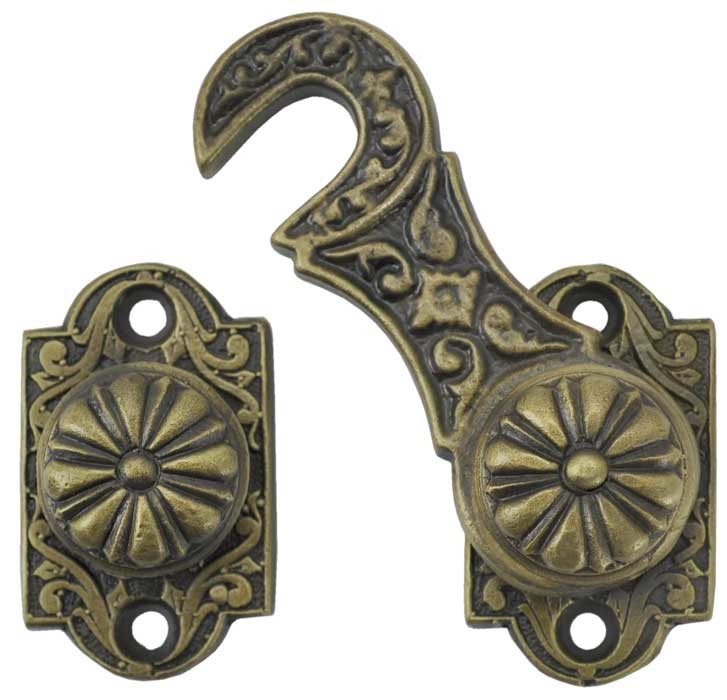 A favorite with high end boat enthusiasts, we sell this latch for a decorative cupboard, broom closet latch, or door latch, too. How about on your back porch door? Base Measurements: 7⁄8" x 1 ½"; the screw holes are drilled 1 1⁄8" c/c. 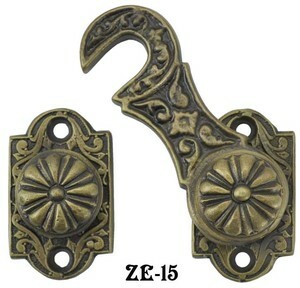 Overall Measurements: 2 ½" x 1 ½"
More of our replica R&E hardware can be viewed by clicking HERE.